Piloting is a great way to optimize your system performance by learning if you have the correct pretreatment in place, your cleanings are restorative or you are interested in testing a new chemical before bringing it online on your main system. 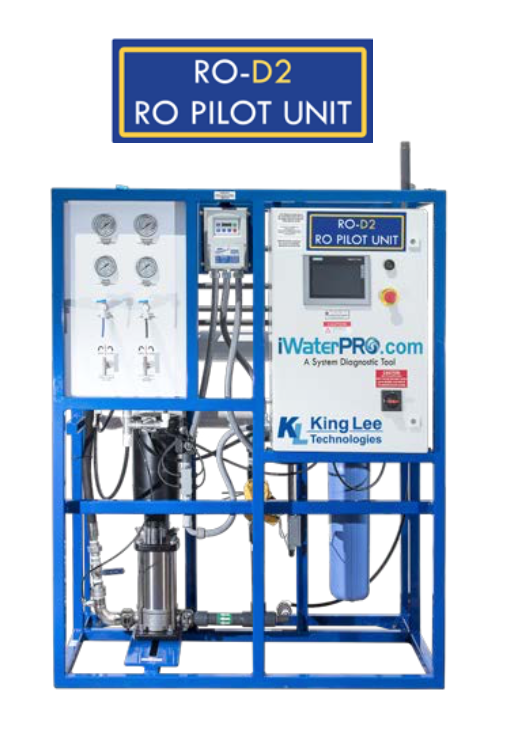 Our RO-D2 Pilot Unit comes fully equipped with the latest features. It is iWaterPRO™ enabled, allowing you to track the normalized data which takes into account that operating conditions are constantly changing thereby showing you a more precise picture of how the system is running. It automatically collects the data points for you so you can remotely monitor the data, requires only a small footprint and is portable. See a 360 degree view of the pilot!